Extreme durability for professional driving and off-road enthusiasts. A fearless performer at quarries, forests and mining areas. A sturdy tyre that handles even the unexpected impacts during demanding off-road use with ease. Pleasant comfort, high performance and firm wet grip. The top choice for drivers who value safety but also who want to enjoy the power of their SUVs on rough roads and in urban traffic alike. 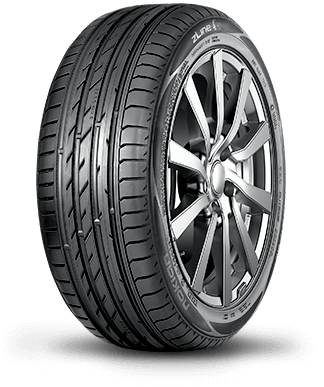 Durable with Nokian Tyres Aramid Sidewall technology. A sporty summer tyre providing precise handling, perfect driving pleasure and extreme safety for demanding conditions. Steers logically, quickly, and responsively also at high speeds. Nokian Tyres Aramid Sidewall technology reinforced the sidewalls. Reliably withstands the stress of varying roads, providing wear-resistance, exceptionally comfortable handling and grip on asphalt and gravel roads alike. Designed for demanding use on heavy SUV type 4WD vehicles and pickups. Works excellently on asphalt, but can also be used for light off-road driving. Offers good durability even on heavier vehicles. Excellent on asphalt, but can also manage light off-roading. The tread compound ensures a long life span and the block design improves driving stability. Versatile tyre especially designed for heavy use on light trucks and pickups.